Cameras Downunder Gallery - 35 Millimeter/Aires 35-V. C.R.Finder camera. photo 1. Aires 35-V. C.R.Finder camera. photo 1. 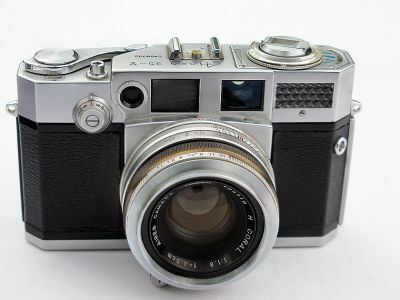 Aires 35-V C.R.Finder 35mm camera. Build in Selenium Light meter, interchangeable Lens special Bayonet fitting.